Communities@Work’s Appletree House Child Care and Education Centre offers the best of nurture and nature within a tranquil environment sheltered by gum trees and the sound of nature. 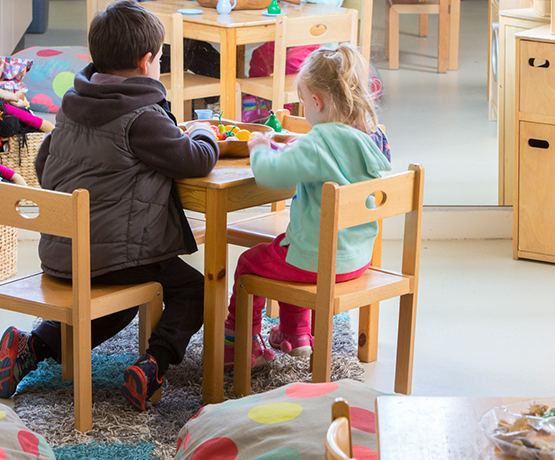 We offer long day care – a regular booking, within the operating hours of the centre. Open from 7:45 am to 5:45 pm, Monday to Friday. Infants (birth) to preschool age all welcome. We provide a nutritionally balanced morning tea, lunch and afternoon tea each day. We cater for individual dietary requirements and specific needs. Please note the above rate is before the Child Care Subsidy (CCS) is supplied, if eligible. Visit The Department of Human Services website by clicking here to find out more about the Child Care Subsidy and to see how you might be able to benefit.